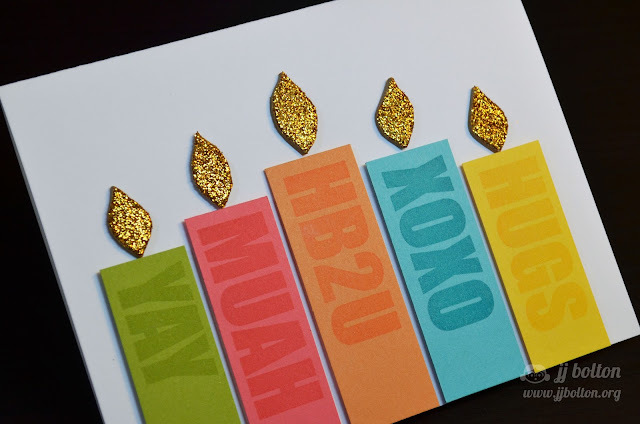 I thought I'd try a card that would use multiple words and here's what I came up with:) A fun and easy birthday card! I stamped each word onto card stock strips and hand cut the flames from glitter foam (with adhesive backing). That's it for me! Click over to the rest of the team to see more Big Words inspiration. Oh how cool!! What smart idea! The candles are awesome and the colors are just perfect for a bright and happy birthday!! Looooove the glittery flames too! So neat! Fantastic design and colors! Those stamps so cool! Your card is so fun and colorful. Awesome. Super awesome and creative card! Love all the colors and the glitter flames! SO fun. What a fun use of this set! You are so clever! :) Love it! So very smart to use the same color ink as your candles ... love the tone-on-tone! Such a fun card! 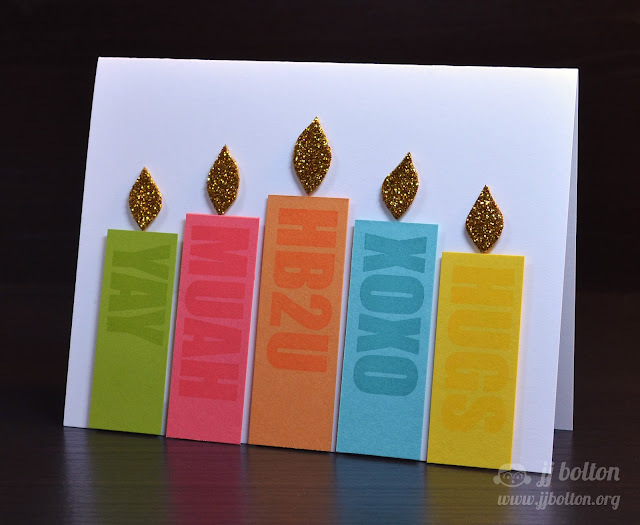 Love those big candles and the glittery flame is awesome! Totally rocks and totally creative. Wonderful! Clever way to highlight all these sentiment stamps all in one place! So fun! Love the subtle sentiment and glittery flames!